Hello green thumbs! Are you ready for summer? 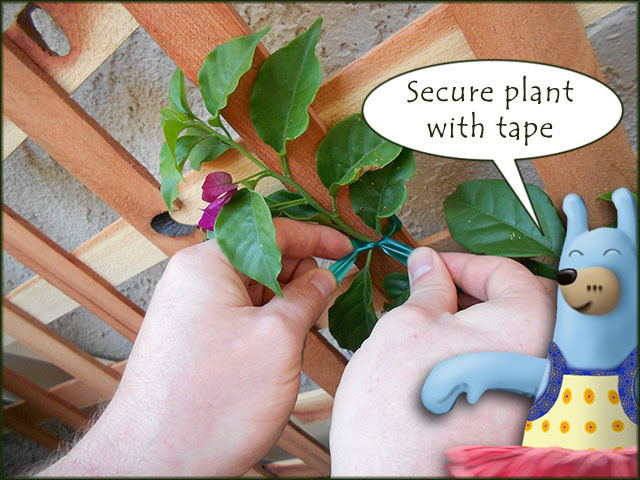 I have a wonderful and easy idea for you in your garden with bougainvillea. These crawling climbers are so pretty and when trained to grow against a lattice they provide shade! 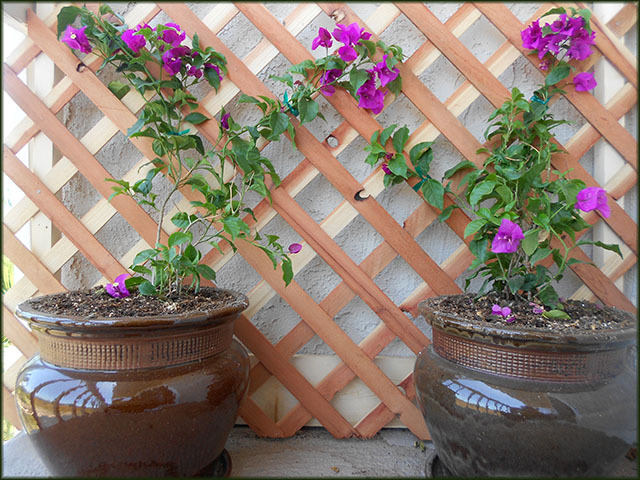 You will need: A sunny spot in your garden with a lattice or trellis for growing, bougainvillea plants, pretty pots, potting soil and green gardening tape. Step #1-Simply plant your bougainvillea in its pot. Don’t forget to water your plants about every other day!